As an undergraduate at the University of Maryland, Dennis was two time Atlantic Coast Conference Champion in track, breaking school records in the 5,000m run and 3,000m steeplechase, and was a four time All-ACC cross country runner. In 1984, Dennis represented the United States in the World Cross Country Championships. 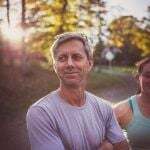 He took over as head coach of the the girls' cross country team in 2007, and in his first seven years the team finished 9th, 8th, 6th, 3rd, 2nd, 1st, and 1st again at the Division I New England Championships. He could not be more proud of his runners. Callie's passion for education started by teaching summers at Choate Rosemary Hall and Phillips Academy. When she graduated from Washington & Lee with a B.S. in mathematics and a minor in philosophy, Callie pursued her full-time teaching career at the Foxcroft School in Virginia. 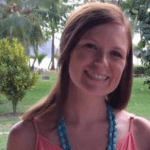 After three years at Foxcroft, Callie decided to teach abroad and prior to joining the Deerfield faculty in 2017, had been teaching at The Country Day School in Costa Rica for two years. From her experiences at these schools, Callie has forged a passion for global mindfulness, service learning, and athletics. Callie lives on campus with her husband Scott, and their dog Miller. Cheri came to Deerfield in 1999 as a teaching fellow in Spanish upon graduation from Northern Michigan University. She received her MA from Middlebury College in the summer of 2003. In addition to teaching Spanish, Cheri coaches the girls cross country team in the fall, and track and field in the spring. She lives in Deerfield with her two sons, Henry and Jay.